Heloise and William have danced around each other for a long time. As his bestfriend's little sister, William has tried to distance himself from Heloise while she has decided after once being rejected by him to protect her heart. They both have their share of scars, both internally and physically, but staying apart might be hurting them more than helping. With Heloise in danger, William can't let her out of his sight. As they are forced together and their walls start coming down, it starts to become clear that the only way they can truly heal is with the love of the other. "thou shalt not covet thy best friend's little sister." 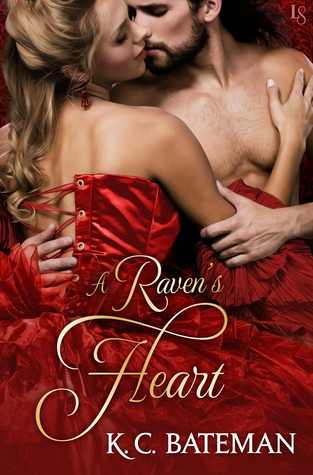 Second in the Secrets and Spies series, A Raven's Heart can be read as a standalone. It's obvious that there is a continuous story thread involving the spy aspect but I never felt lost or confused, in fact it only made me curious about the first book in the series and future ones. I thought this started off very strong with the tension between our two leads. I will show up every time for the brother's friend, little sister trope and I thought that dynamic was portrayed very well here; a little less involvement with her brother's approval/disapproval and more shared history and emotional ties. As the story went on though, I thought the hero had disconnect between him continuously spouting (this was brought up a bit too much) about how he wasn't good enough for Heloise but still engaging physically with her. It was disorientating because I'm supposedly supposed to buy into his torment over not feeling good enough for her but at the same time he's constantly kissing on her and pushing their physicality. His reasoning for not feeling good enough for her was already a little murky, we are told he was kidnapped when he was younger and had to fight his way free but not given a clear enough picture to understand why he would demonize himself because of his actions. As the story goes on we learn he is a spy where he has to kill people occasionally, which fits better into the not feeling good enough narrative. If their intimate situations hadn't been ramped up so quickly in the beginning, I would have been able to follow along and connect with William's gradual breaking down and inability to stay away from Heloise. "You want to pretend this scar isn't there, but it's what makes you you." I was quite fond of Heloise as she was the little too smart for her own good, word loving, and scared bluestocking. Her personality quirk of etymology spouting was cute but I have read a heroine or two who could be her twin sister. Which is the main problem I had with this story, I've read it before. Again, I've read a ton of books from this sub-genre, which could maybe the problem in itself, but there was nothing new here. The writing is good and there are many crowd pleaser moments and lines, but many too many. 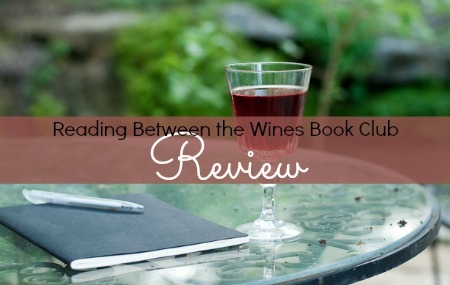 It almost felt like the writer wrote what she thought a romance should be by taking good tropes, scenes, and lines and creating a story around that instead of having characters and story emerge from her. There was a kissing in the rain scene that should have felt emotionally powerful but all I could do was think about other scenes like that I have already read and compare them; this story was full of moments like that for me. Someone newer to the genre would probably not have the same problem I did. I've read Joanna Bourne's Spymasters series, which utilizes the same tropes and ideas as this but adds enough intrigue and emotion to distance itself from the similarities and be completely compelling. She gave a watery laugh, "I might want to kill you, Ravenwood, but I'd never want you dead." K.C. Bateman looks to be a newer author and I definitely see some promise in her writing, I would just like to hear more of her individual voice. There was good story plot progression and natural flowing interaction between the characters. I'll be going back and reading the first in the series and be on the lookout for the next in the series. If you're looking for a sweet "I'm not good enough for you but I can't stay away" with some road adventure, you might want to try this new author. I have not read a lot of books of this type of genre, but I loved these two books by K. C. Bateman. I thought for a first time author, her story was wonderful in To Steal a Heart. I did enjoy the first one a little better than the second one, but I really enjoyed both a great deal. I'm going to have to look up Joanna Bourne's Spymasters series to compare. Thanks!